One of the all-time most popular Christmas movies is Charles Dicken’s A Christmas Carol. The main themes are widely considered to be redemption, compassion and forgiveness. I certainly agree that these are important and obvious lessons in the movie. One other lesson that can easily be missed is transformation. Notice how it is that Ebenezer Scrooge transforms his thinking, beliefs, and feelings in one night. And, by changing his thoughts, beliefs, and feelings, his actions change accordingly. This is right at the heart of what I have been learning and studying. When we change our thoughts and our beliefs, we directly affect our feelings. Whatever our thoughts and beliefs and feelings are, will dictate what our actions are. And of course, what follows from our actions are RESULTS! The most amazing part of this is that we can indeed change our thoughts and beliefs in an instant– just as Ebenezer Scrooge did that faithful night. 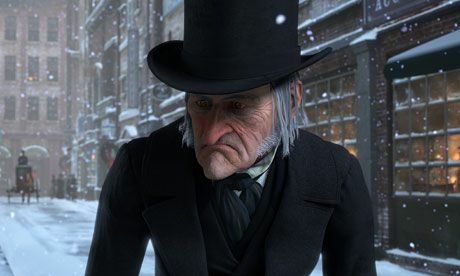 Scrooge changed the results in his life for the better by changing his thoughts that did not serve him. The old thoughts gave him negative results. By changing his thoughts to those that served him better, he was able to change his results. Are there areas of your life that you would like to change the results in? Financial, Career, Personal, Health, Family, Spiritual—any area at all. I invite you work backward and consider the actions (or lack of actions), that caused your results. Then consider the feelings you are having that are causing those actions. And last, what thoughts and beliefs do you have that are causing those feelings. Once you change your limiting beliefs, you may find that much like Ebenezer Scrooge, your results will change in an instant. 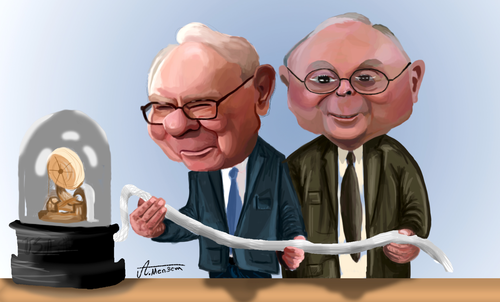 I have written in the past about Warren Buffet’s strategy of making a list of 25 goals and then circling the five most important goals from the list. The “Oracle” recommends you eliminate the other 20 completely. This is an excellent approach. I certainly am guilty of working on too many goals at one time. His strategy will force you to focus on your most important goals and you will likely experience better results. It certainly seems to have worked for him. There is a somewhat similar strategy that I recently learned from Dan Sullivan of Strategic Coach. Dan is perhaps the number one business and entrepreneur coach around. Dan has developed a program that not only helps you focus on what is important to you (as he describes it, “things that fascinate and motivate you”), but goes beyond that by helping you eliminate what irritates you the most. Take a moment and think about that concept. Can you imagine eliminating things that irritate you and instead focus on things that fascinate and motivate you. Imagine the fun you’d have. Imagine the satisfaction and joy of working you’d have if you could pull that off. I think the combination of eliminating irritating things and focusing not necessarily on 5 important goals as Warren described, but rather on things that actually fascinate and motivate could be a breakthrough concept. Take a listen and/or read the show notes of a recent podcast by Dan Sullivan and Joe Polish from 10X Talk. It’s useful and interesting. So, you’ve gone ahead and set big ambitious goals for yourself. Perhaps in your business, your health and fitness, your family, or community. Congratulations!Setting goals and thenstarting a plan of action are critical. However, I’m going to talk about what I call “staying in the moment”. This means not over focusing on the end goal during your day to day activities. Over focusing on your goal will only causes stress and anxiety. The goal may soon appear too far out. You may get fatigued, stressed, and discourage if you concentrate on how far you have to go. Rather the trick is to have confidence in your plan and then focus on the simple, achievable every day activities in the plan. What do I mean by this? For example on your business/income– perhaps you’ve got a goal to double your income this year. You’ve set about designing a solid and well researched plan of action that you believe can accomplish this goal. Next, you’ve broken it down into smaller tasks, that will lead to the goal’s accomplishment. Key in on what you need to do today only to move down the right path. Maybe that means making three sales calls today. Or, perhaps it means completing a new course that gives you a new marketable skill. Focus on just that activity. Do it and log it. “What we measure we accomplish!” Develop “daily habits” around this activity. Do not focus everyday on the goal of doubling your income, that can cause you to feel overwhelmed and discouraged. Have faith that executing the small details will result in the successful completion of your goal. You almost have to block out the bigger goal as you go down the path. Develop a dual mind set- intensive focus on the task at hand or daily work, while reserving focus on the bigger picture for later. As another example, perhaps your goal for health and fitness is to lose 30 pounds or more this year. What is your plan to get there? What can you do in small increments to ensure success of the plan. Focus on eating a healthy breakfast. Eating a low calorie light lunch. Drinking 8 glasses of water. Counting your calories and going for a walk. Then log this every day. Remember– “what we measure we accomplish!” Do not focus on how far you have to go or how slowly it seems to be progressing. 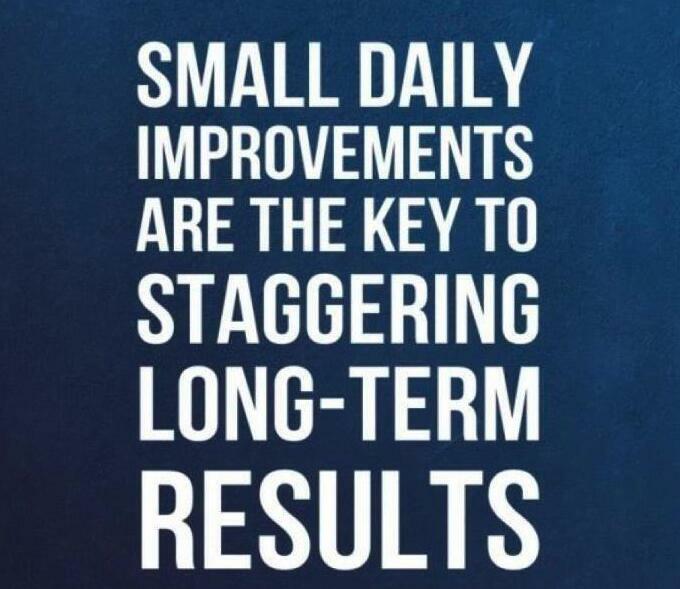 Have faith that your small daily habits repeated day in and day out will dictate your success. Of course there will be a time when you will need to evaluate your progress and adjust the plan if needed. Be aware of the difference between a plan that doesn’t work and your failure to properly and completely follow the plan. Often, it is our activities, or lack of activities, that need adjusting. “Staying in the moment” will energize you day in and day out. It will allow you to develop, manage, and focus on the daily habits that result in the successful accomplishment of your goals– no matter how big. (And please, please, please… make them them BIG, BIG, BIG!!! THINKING –> FEELING/BELIEVING –> ACTIONS –> RESULTS. 1. CHANGE YOUR THINKING ~ MANAGE YOUR THOUGHTS. 2. SLOW/STOP YOUR ACTIONS/RE-ACTIONS AS YOU ADJUST. YOUR THINKING. CHALLENGE YOUR ASSUMPTIONS. 3. THINK-THINK-THINK: DREAMS, GOALS, WANTS. 4. BELIEVE-BELIEVE-BELIEVE: DREAMS, GOALS, WANTS. 4. RUN AWAY FROM NEGATIVE INFLUENCES– RUN, RUN,RUN. 5. TAKE ACTION STEPS. START. DO SOMETHING THAT MOVES YOU IN THE RIGHT DIRECTION. I am going to suggest that one of the greatest benefits we have living in the current times is the ability and access to learn absolutely anything we can think of. Think about that for a while. You can learn absolutely anything you can possibly think of, relatively easy and probably for free. Never before in history has this been available. Consider what that could mean for you. Imagine your life in 10 years from now if you started learning a new skills or new subject every six months. How much could the quality and depth of your life have if you did this? How much more success would you have- however you choose to define success. How much more valuable of a friend, or family member, or citizen, or volunteer, or employee would you be. How much more money would you have — yes- knowledge pays! But, you may ask, what should I learn? The great news is that post formal education, no one is going to force feed you. Learn about what excites you and makes you curious. Take a chance. Stretch yourself. Discover new worlds. You’ll likely find that as you start learning new things again (maybe for the first time in a while), that it gets easier and more ideas start developing in your mind. Here are a few broad categories that might spark an idea. Perhaps history, mathematics, English literature, foreign languages, computer programming, sciences, social skills. How about, family and relationship skills, public speaking, writing, the arts, music appreciation, trade skills, communication skills? What if you deepened your understanding of your faith and religion? What if you learned new software applications and technologies like artificial intelligence? How about new hobbies- wine tasting, photography, gourmet cooking, coin collecting, firearm training, to name but a small sampling. How about a new sport or fitness pursuit- Zumba anyone? Yoga? Tai chi? Fishing? Perhaps learning a new instrument- the piano, guitar, drums? How about investing knowledge, trading skills, business management skills? The list is endless. It only stops where your imagination stops. But think of the person you will become if you simply take advantage of the wonderful opportunity and good fortune of living and the current Times. You most likely can find anything you want to learn available for free on the Internet. My challenge to you is to try learning something new right now. Have fun with this. Pick something that would surprise people who know you. Be careful to not just re-learn things you already have done. The key is to step out of your comfort zone. Just imagine how great your life will be in 10 years if you do! I promise you, it will exceed all expectations in satisfaction. And if you still need more suggestions take a look at this article from the USA Today “45 free online classes you can take (and finish) by the end of the year” It’s useful and interesting!